Congratulations on your engagement. The following information is provided in an effort to assist you in beginning to plan your wedding celebration. It is offered in order to give you an idea of the process but is not meant to be a detailed checklist. The person responsible for your marriage preparation will give you the specific requirements for your particular situation. Marriage is special to Catholics. We consider marriage a sacrament. It is a special grace for the couple and an important sign for the faith community. Catholic marriages are public acts and are properly performed in the Church of the Catholic faith community of either the bride or groom. If you desire to celebrate your marriage in a church other than your own parish church, you must have the permission of your pastor. If you do not participate at Mass with a particular faith community, your pastor is the pastor of the parish within whose boundaries you reside. You will need to get permission from him. The Diocese of San Diego does not allow weddings outside of a Catholic church or chapel except in cases of extraordinary pastoral need. The public, Church community, nature of Catholic marriages requires that the consent be received by, and the exchange of vows be witnessed by, an official Church witness (the officiant); normally a priest or deacon. This is what most people call being “married in Church”. If you wish to invite a guest priest or deacon to officiate at your marriage, that is normally possible with permission of your pastor. In such cases, talk to your pastor about who will prepare you for marriage; the guest officiant or a priest or deacon at your parish. Marriages of Catholics are normally celebrated within the context of a mass. If one of the couple is not Catholic, a mass is not normally appropriate because the non-Catholic cannot receive communion with his, or her, spouse. In such cases the marriage is celebrated within the context of a Liturgy of the Word. 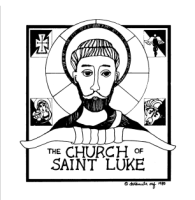 At St. Luke, we normally celebrate marriages on Saturdays before 2:00 pm. It is sometimes, but not normally, possible to celebrate marriages at other times by special arrangement with the priest or deacon who will officiate. Catholic marriages are not celebrated on Sunday. The elements of the marriage preparation process we utilize are required by the Diocese of San Diego and are similar to the process required in Dioceses across the United States. Scheduling and completion of the programs can take up to 6 to 9 months so contact us early to begin your preparation. Schedule the church first. It is dangerous to schedule the reception before you have insured that an officiant and church are available and that you have enough time to complete the preparation process. Schedule the date & time of the ceremony, leave a $50 deposit of the $300 total church-use fee. The Date & time cannot be scheduled before determining if a priest or deacon is available to officiate. You may request any priest, or deacon, to officiate your marriage with permission of the pastor (normally granted if the officiant is in good standing with his own diocese). If you invite your own priest or deacon, it is your responsibility to remunerate him (normally $100). It is not necessary to give an extra donation or stipend to a priest, or deacon, assigned to St. Luke. If you desire to have communion at your ceremony, you must have a priest to preside at the mass even if a deacon is accepting consent and witnessing the vows. Meet with the minister who is preparing you to review the FOCCUS results. Meet with the priest or deacon officiating at your wedding to discuss the ceremony & set a date for the rehearsal. The couple is also responsible for their own music. The cantor and accompanist at St. Luke lead the music for most of our weddings but you may choose your own musicians with approval of the officiant. Plan to spend $250 or more. All other couples are special cases and must talk to the priest to determine if they can be married in the Church and determine the appropriate preparation process. Remember that the Sacrament of Marriage is all about your married life together and not just about the day of celebration. Preparation for that life together is infinitely more important than preparation for the celebration. We pray that you will use this time wisely and are ready to help.